We have heard about many blessed devotees who were profoundly blessed to make offerings to Maha Periyava… Sri Joshi (Ardent Devotee of Periyava) had immense “Anugraham” to do Navarathna Archana to Periyava’s Lotus Feet; Few other devotees were blessed to do Vilva Archana to Him… To Periyava who had lived an open life of austerity, gold or sand is one and the same. All such offerings are more symbolic than literal… The ultimate essence of all offerings is unconditional surrender at His Lotus Feet! 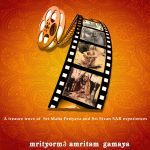 Guru Ashtakam by Adi Shankaracharya explains the need for Guru and insists that we need to attach our mind to the Guru’s Lotus Feet. Complete surrender to Guru is the path to spiritual gain, that’s the message this ashtakam (Octet) tells us all. If the mind is not riveted in devotion to the Lotus Feet of Guru, Really of what use is all this, what use, what use? Today being a very sacred day, let our mind steep in devotion towards the Holy Feet of Maha Periyava – A Personification of Infinite Compassion & Supreme Grace, from whom alone can flow wisdom! Jaya Jaya Sankara Hara Hara Sankara! Avan Arulale Avan Thaal panivom! Deeply moved that MahaPeriyava helped me find this great video! Thanks to you, Sir for taking this great effort! God Bless! the Lotus Feet of Maha Periyavaa with the Swarna Coins. The last Darshan I had of Mahaperiava was just before he attained MAHASAMADHI. I had just returned to Toronto after a lengthy tour of South India. Today, December 29, 2013 I am fortunate to view this video. I am now 82 years of age but the very sight of MAHAPERIAVA , my eyes are clouded with tears. I become emotional and with raised cupped hands above my head, I offer my humble Namaskaarams. My heartfelt thanks to the gentleman who posted this. Namaskarams to all the great souls who video taped it, to those who are still searching for such spiritually enlightening things online admits of so much distractions online, to those who are appreciating this and to those who are paying for these to stay online. Without you all I wouldn’t be fortunate enough to see these! God speed to all of you! VAzhga valamudan, valarga um pani pallAyiram kOdi Andugal! 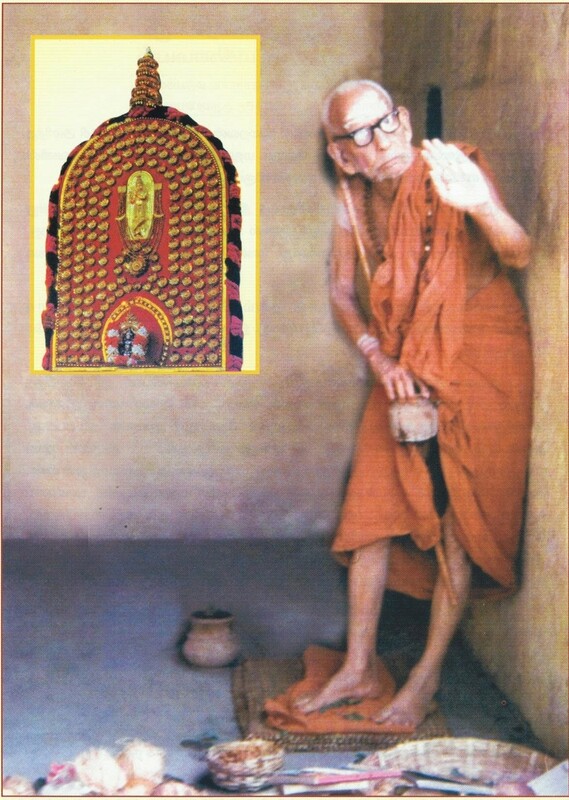 Ananthakoti namaskaram to Mahaperiyava. Really touched with the bliss of this footage. Heartfelt thanks to all who took this effort of sharing the blessing of the Eternal Holiness. I have never met Mahaperiyava. But thanks to all of you, with your efforts, people like me who have never had the good fortune of meeting Mahaperiyava can happily rejoice seeing this priceless video. I am sure without Mahaperiyava’s blessings, this may not have been possible. You are so blessed. My pranams to you. May our dearest Mahaperiyava be always with us and guide us in whatever we think, say, and do. My pranams to the lotus feet of our dearest Mahaperiyava. Jaya Jaya Sankara Hara Hara Sankara Kanchi Sankara Kamakoti Sankara.